Sometimes nothing says it like flowers, but it’s also not easy sourcing bouquets that aren’t produced industrially with pesticides, grown on prime food growing land in the tropics, by people with poor working conditions, then flown long distance, with all the pollution and carbon release that entails. 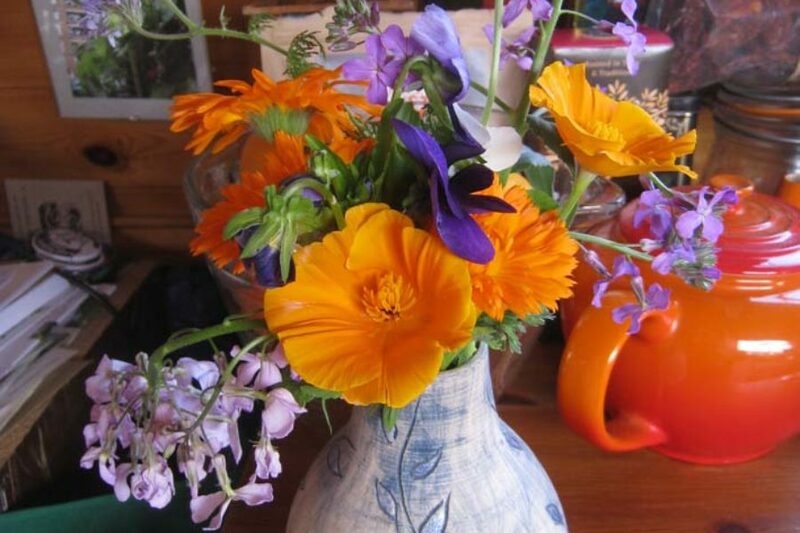 At Organiclea’s Hawkwood site, we grow flowers as part of our market garden. Flowers add to our growing system as “companions” which encourage beneficial insects such as ladybirds, hoverflies and bees, which in turn help with our pest management and pollination. We also let many of our vegetable crops fulfil their whole life cycle and go to flower – for example our kales and watercress, with surprisingly beautiful results! Throughout the growing season at Hawkwood Plant Nursery the flowers add to a haze of different colours around the site – we believe in mixing everything as nature would and celebrating biodiversity on our land. As a food growing project, many of our flowers are also edible. All are available in Edible Only or mixed edible/ non-edible versions. Contents vary throughout the season. Obviously. 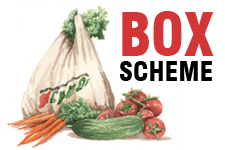 We can also supply wholesale to specific requirements for regular orders. 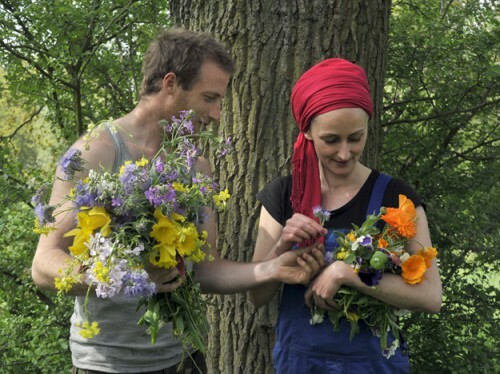 Flowers must be ordered a minimum of four days in advance and collected from either our Hawkwood site on Chingford on Tuesdays or Fridays by 5:30 pm; or from our market stall at the Hornbeam Café in Walthamstow, Saturday 10am – 3 pm.